If you’re ever worked in an office you know that there is much to be improved with back office processes. 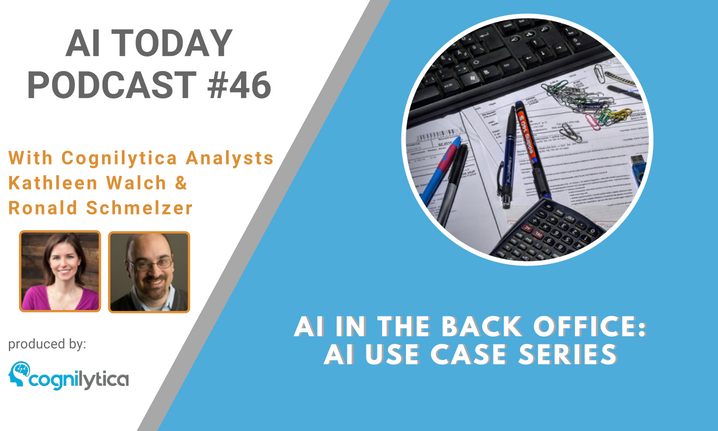 It’s often discussed how AI can help the front office, but it’s doing just as much to improve back office operations as well. AI can be a smart, augmented assistant that can help enhance data, provide research, and collect valuable information. AI can do a better job in meeting complex and constantly evolving compliance requirements that involve large amounts of data. AI can speed up the traditional process of procuring and paying for products and services, and ensure compliance with corporate and legal requirements. 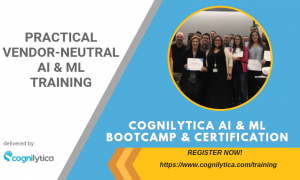 In this podcast, Cognilytica analysts Kathleen Walch and Ron Schmelzer share some of the ways in which AI is being used today to transform back office operations. Can AI make debt collection smarter and easier?